This 12-day overland camping tour starts in Nairobi and takes you to the Lake Nakuru National Park where you will search for Africa´s wildlife. You will camp on the shores of Lake Naivasha and negotiate Kenya´s finest wilderness areas en route to the Masai Mara National Park. Spend a full day game viewing in this area. 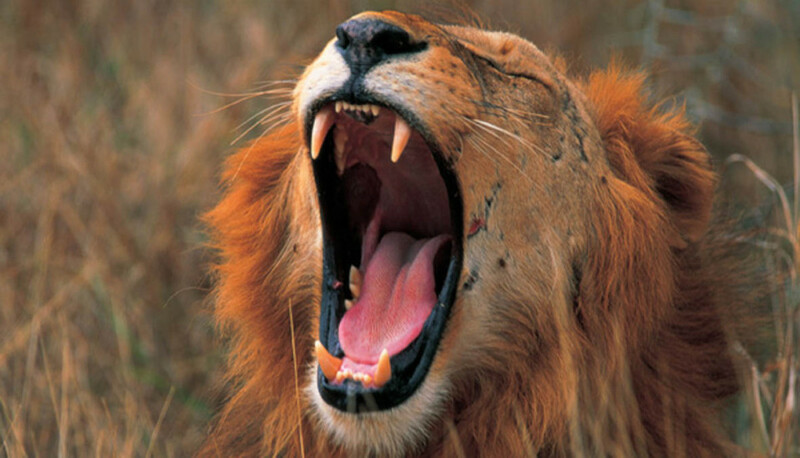 You will explore Lake Victoria, Africa´s largest lake and the Serengeti National Park with its numerous predators. You will see the Masai tribal people herding their cattle amongst the wildlife in the Ngorongoro Conservation Area. You will explore the Ngorongoro Crater in 4×4 safari vehicles and visit a Masai village before you travel to Arusha at the foothills of Mount Meru. After your arrival in Nairobi you will be met at the hotel in the heart of this bustling city. For clients arriving early, there are a variety of day-trips and excursions on offer – these can be booked at the hotel’s reception. In the evening (18h00) you will meet your fellow travelers at the pre-tour briefing before enjoying dinner at a local restaurant at own expense. Leaving the city you travel north, climbing to the edge of the escarpment from where you have a fantastic view of the Great Rift Valley below. You then descend into the valley and enter Lake Nakuru National Park. On the game drive you might be able to see rhino, leopard, lion, buffalo and many other species that inhabit the park and experience the breathtaking sight of the vast flocks of flamingo that gather at the lake’s edge. Tonight’s camp is just below the equator at Kembu. 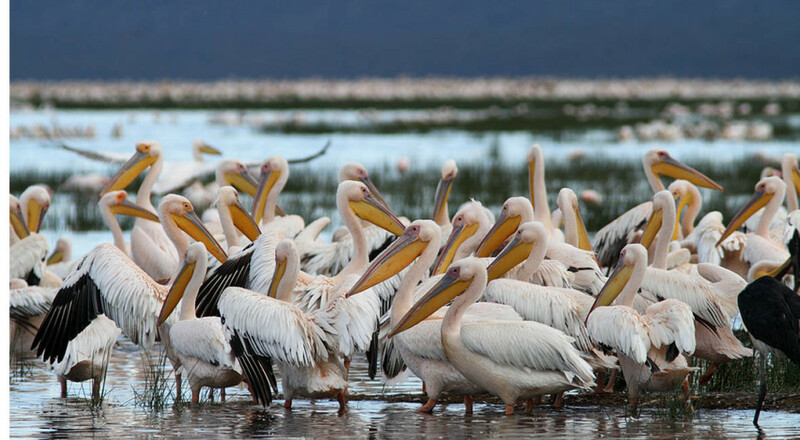 Today’s short drive will take you to the camp on the shores of Lake Naivasha. After setting up camp amongst the fever trees you have some time to relax, watch the hippos and take in the spectacular scenery. This afternoon you visit Elsamere the former home of Joy and George Adamson creatures of the film Born Free, for an afternoon tea and to learn more about their research and fascinating lives. Return to camp. Today you travel through some of Kenya’s finest wilderness, using lesser-known roads passing numerous Masai villages on the way. Your camp for the next two nights is next to the renowned Masai Mara National Park. Enjoy a hot shower with water from a traditional wood-burning donkey boiler. Early this morning you enter the park to enjoy a full day game drive. The Masai Mara is well-known for its large herds of game and ever-present predators which follow the seasonal migrations. Lunch today will be a picnic on the banks of the Mara River, known for its huge crocodiles and hippo population. You will return to camp for the night. Leaving the Masai Mara behind, you enter Tanzania and then descend towards the shores of Africa’s largest lake, Lake Victoria. 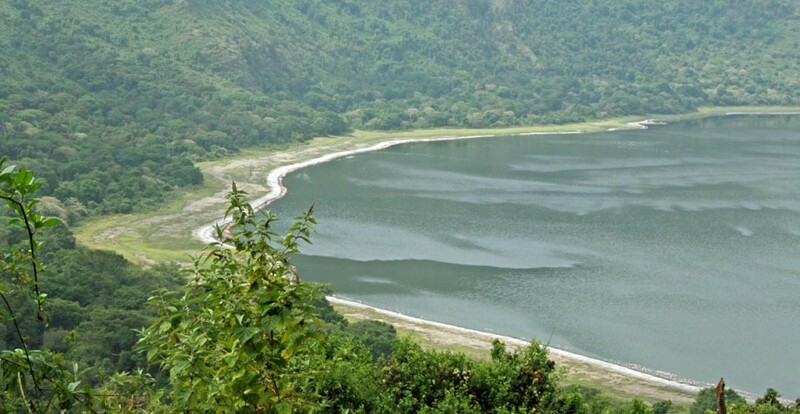 This lake forms part of the Great Rift Valley and provides a livelihood for the many locals that fish its waters. Here you will spend time relaxing, exploring the markets and trading with the local fishermen. Dinner tonight will be at a local restaurant at own expense. You will camp for the night at the water’s edge. Today you enter what is arguably the world’s most acclaimed wildlife sanctuary, the Serengeti National Park. This park, with its huge concentrations of plains game, numerous predators and prolific birdlife all resident on the seemingly endless grass and acacia covered plains, epitomizes Africa’s game parks. You will cross the park from west to east and spend a night at the lively Seronera campsite. After an extensive morning game drive you leave the Serengeti and enter the Ngorongoro Conservation area where you witness the spectacle of the Masai tribal people herding their cattle amongst the wildlife, still living their customary lifestyle as they have for centuries. 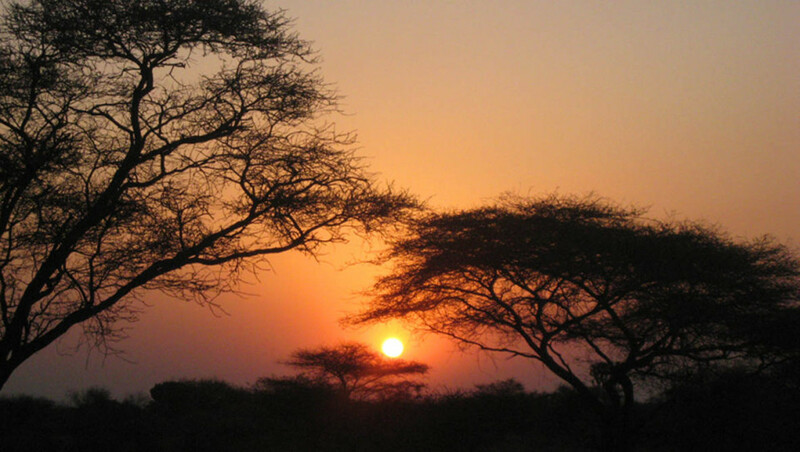 Tonight you will camp at the renowned Simba camp on the edge of the magnificent Ngorongoro crater. The views from the camp are spectacular. At first light you make the steep descent into the crater in smaller 4x4 safari vehicles. 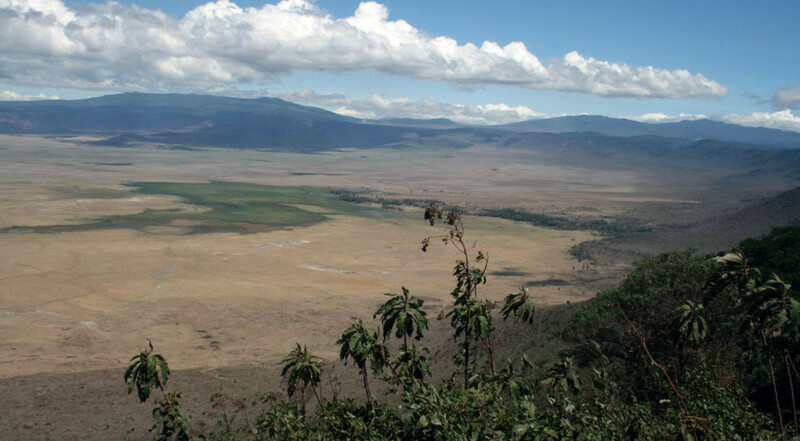 From the crater floor you explore this marvel of nature with its sheer walls and fertile plains. With the possibility to view almost all of Africa’s big mammals at close range including the rare black rhino, this has to be the finest game viewing available. Returning to Simba camp, you will enjoy lunch before leaving the park and descending the escarpment to the camp at Engaruka. Here you will camp for two nights, literally amongst the Masai people. Today you will walk around the village and spend time absorbing the unique culture. 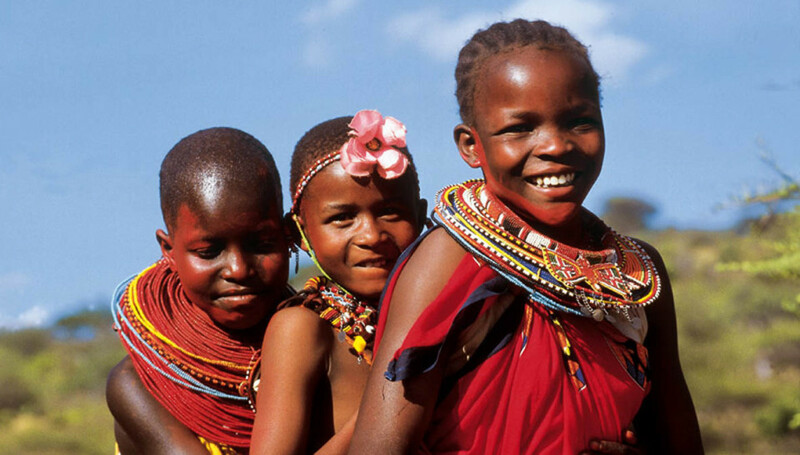 You might see the Masai dancing and you can barter in the markets while witnessing their traditional way of life. Camp the night. After an early start you travel to Arusha, the town at the foothill of the beautiful Mount Meru. Here you will spend the afternoon exploring this lively town and its local markets. Tonight you will enjoy a meal at a local restaurant at own expense and sleep in a camp-site in Arusha. After breakfast you set off to complete the circle back will be transferred to Nairobi (on occasion a shuttle bus is used for this transfer). The road travels through some spectacular scenery and on a clear day offers stunning views of the mighty Mt Kilimanjaro, Africa’s highest mountain. The transfer will pass via the airport. Clients staying on in Nairobi or continuing their travels will be taken into the city center. - 10 nights are spent in spacious 2-man dome tents (2,2 x 2,2m) on campsites with ablution and other facilities. - 1 night is spent in twin room at a hotel. - For Kenya and Tanzania a visa is usually required for all nationalities. - As you will be crossing the borders of countries which are within a yellow fever region, a proof of yellow fever vaccination is required. 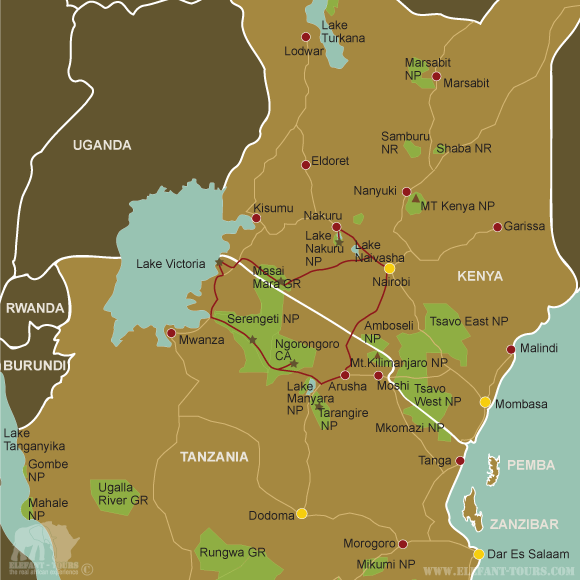 - Since Kenya and Tanzania are situated within a malaria area, we would recommend some precautions. Please speak to your doctor or travel clinic about the different prophylaxis and their effects and side effects.